When the weather starts warming, it’s time to head outdoors. And because your home is so much fun, the music and TV you enjoy indoors follows you to your great outdoors. Your patio is filled with music as you enjoy an after-work glass of wine or plant flowers in your garden. Underwater pool speakers allow the music to follow you when you swim. 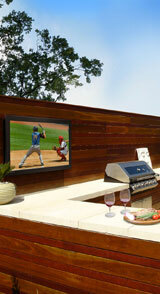 You watch movies and sports on your high-performance flat-screen TV positioned above the outdoor fireplace. 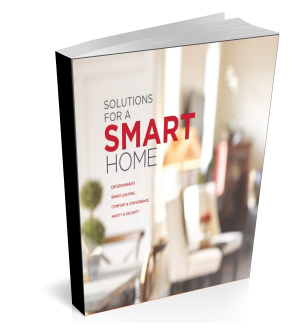 Or, you can access the Internet for work or fun, since you are always connected to your home’s network, indoors and out. Your outdoor world controlled seamlessly. Not a wire to trip over, since everything is concealed. Subwoofers are buried and speakers are hidden in the landscaping or disguised as nature. Everything is out of sight providing the perfect background entertainment all over your yard, be it a small condo patio or a multi-acre plot of land. Specially designed flat-screen TVs are sheathed in weatherproof cases, built to withstand temperatures from -30 degrees to 140 degrees. Sun shining brightly? No worries since the TVs Lifetronic Systems installs provide bright, vivid pictures in any light. And it’s all controlled seamlessly from a handheld remote, touchscreens in gazebos and screened or covered rooms, or on your smartphone or tablet. Outdoor Entertainment Systems – Lifetronic Systems Service Areas: Lifetronic Systems is located in Westport, CT, and services all of Fairfield County, CT, and Westchester County, NY, including: Greenwich, Darien, Westport, Weston, Wilton, Redding, Easton, Fairfield, New Canaan and beyond. We also travel beyond Connecticut and New York upon request.